"Workshop on CNC Programming & Applications Rayat Institute of Engineering & Information Technology organized Two Day CNC Training programme in Mechanical Engineering Department " on March 20-21, 2017. About 150 Mechanical Engg. 's students and faculty members participated in this training programme. The resource person on this occasion was Er. Gurpreet Singh from Baddi University, Solan. Er. 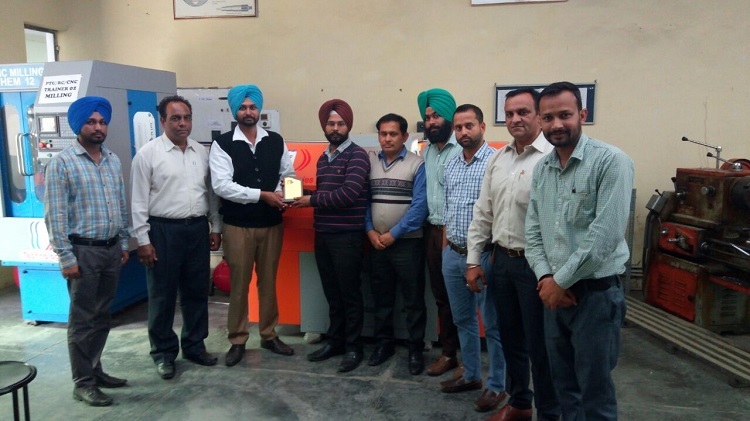 Gurpreet Singh explained various applications of different softwares and tooling of CNC. Er. Harmeet Singh, HOD ME, motivated the students to actively participate in such training programme. On this occasion Dr. Ajay Goyal, Director-Principal RIEIT congratulated the Department and said that such training programmes would empower the students to compete in their professional sphere successfully. This training is being put forth under the true and dynamic leadership of Dr. Suresh Seth, Campus Director, Rayat - Bahra Ropar Campus.